What are risk factors for ocular melanoma? What are signs and symptoms of ocular melanoma? What tests detects and diagnose ocular melanoma? How do health care professionals diagnose ocular melanoma? What factors affect the prognosis and treatment options for ocular melanoma? What tests determine if ocular melanoma has spread? What are the staging systems for ocular melanoma? What is recurrent ocular melanoma? What are the treatment options for ocular melanoma? Who should consider taking part in an ocular melanoma clinical trial? When can patients enter a clinical trial for ocular melanoma? When should patients follow up after the initial treatment of ocular melanoma? What are treatments for the various types of ocular melanoma? What are treatment options for extraocular extension melanoma and metastatic ocular melanoma? What are treatments for recurrent ocular melanoma? Ocular melanoma is a rare type of cancer that begins in the eye. Ocular melanoma is also referred to as intraocular melanoma or uveal melanoma. 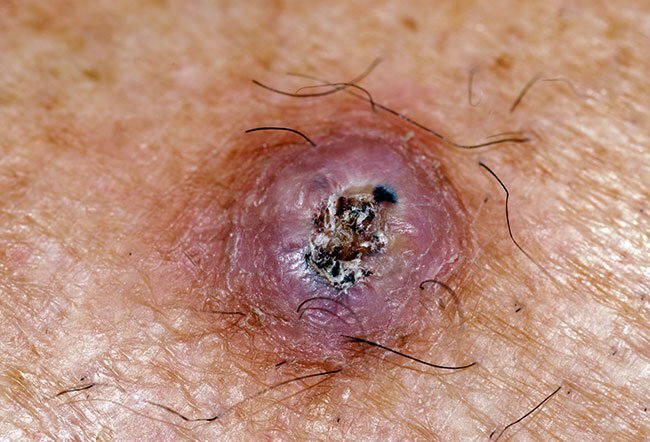 The cancers cells in this type of tumor produce the pigment melanin. Risk factors for developing ocular melanoma include fair skin and old age. Ocular melanoma may not cause early signs or symptoms. Later symptoms can include blurred vision, floaters in the field of vision, a dark spot on the iris (colored part) of the eye, or a change in the size or shape of the pupil or change in the position of the eyeball within the eye socket. Ocular melanoma is usually diagnosed by eye examinations. A biopsy of the tissue is usually not necessary. Surgery is the most common treatment for intraocular melanoma. Sometimes health care professionals also use radiation therapy and other types of treatments. There are two staging systems for intraocular melanoma. In stage I, the tumor is in the iris only and is not more than one fourth the size of the iris. has spread next to and/or into the ciliary body, choroid, or both. The tumor has caused glaucoma. In stage IIB, the tumor has spread next to and/or into the ciliary body, choroid, or both, and has also spread into the sclera. The tumor has caused glaucoma. In stage IIIA, the tumor has spread through the sclera to the outside of the eyeball. The part of the tumor outside the eyeball is not more than 5 millimeters thick. In stage IIIB, the tumor has spread through the sclera to the outside of the eyeball. The part of the tumor outside the eyeball is more than 5 millimeters thick. to other parts of the body, such as the liver, lung, or bone, orto areas under the skin. Intraocular melanoma of the ciliary body and choroid is grouped into four size categories. The category depends on how wide and thick the tumor is. Category 1 tumors are the smallest and category 4 tumors are the biggest. the tumor is 9.1 to 15 millimeters wide and 12.1 to 15 millimeters thick. the tumor is 12.1 to 15 millimeters wide and more than 15 millimeters thick. is size category 2 and has spread to the ciliary body; or is size category 3 and is in the choroid only. may be any size and has spread through the sclera to the outside of the eyeball. The part of the tumor outside the eyeball is more than 5 millimeters thick. The tumor has not spread to the ciliary body. to other parts of the body, such as the liver, lung, or bone, or to areas under the skin. United States. National Cancer Institute. "Intraocular (Uveal) Melanoma Treatment (PDQ®) -- Patient Version." Apr. 9, 2018. <https://www.cancer.gov/types/eye/patient/intraocular-melanoma-treatment-pdq#section/all>. What is melanoma? What does melanoma look like? 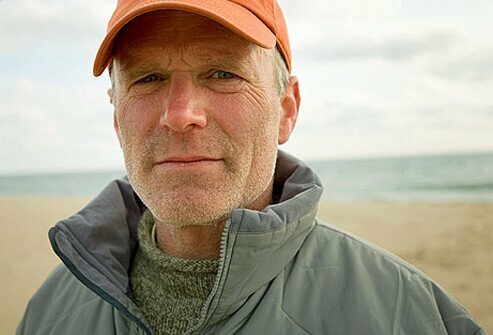 Learn about melanoma symptoms, signs, staging, and treatment for this deadly type of skin cancer. Please share your experience with ocular melanoma. What signs and symptoms did you have with ocular melanoma? Please describe the treatment(s) you received for ocular melanoma. What causes skin cancer? Take our Skin Cancer Quiz to learn about the risks, symptoms, causes, and treatments for this common skin condition that affects millions of people worldwide.